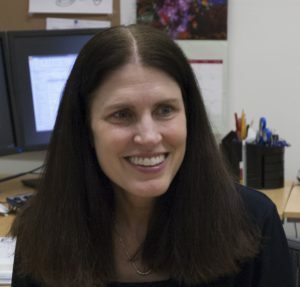 The UCLA Department of Economics extends a heartfelt congratulations to Professor Kathleen McGarry on being elected to the National Senate for Phi Beta Kappa. Founded in 1776, it is the nation’s most prestigious academic honor society. It has chapters at 286 colleges and universities in the United States, nearly 50 alumni associations, and more than half a million members worldwide. Noteworthy members include 17 U.S. Presidents, 40 U.S. Supreme Court Justices, and more than 140 Nobel Laureates. The mission of the Phi Beta Kappa Society is to champion education in the liberal arts and sciences, foster freedom of thought, and recognize academic excellence.